MvVO’s AD ART SHOW will be turning the streets of New York’s most art-centric neighborhoods into an exhibition gallery. 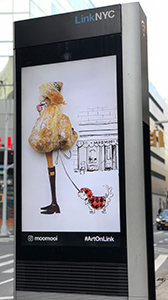 From May 1st through 4th, this art show will be digitally exhibiting the work of artists from advertising on the LinkNYC network. As you may know LinkNYC is the first of its kind communications network that aims to replace over 7,500 pay phones across the five boroughs of New York City with “links” providing access to free public Wi-Fi, phone calls, cellphone charging via USB and an integrated tablet offering access to City services, maps and directions. Each link has two 55” HD Television displays which the AD ART SHOW 2019 will utilize to display the work of AD ART SHOW artists outdoors in an urban environment. Now in its second year, the AD ART SHOW continues to draw interest from all corners of the art world, where a growing number of collectors and art professionals recognize the contribution to fine art made by artists who began their careers in advertising and commercial art including Andy Warhol, Haring, Magritte and many of the most famous names in 20th century art. “We’re looking for new ways to bring Art to people and bringing AD ART SHOW to LinkNYC will change the way people see—and buy—art, catching people on the move, where they live and work. If they like what they see they can check out the MvVO ART e-gallery on Artsy (artsy.net/mvvo). This is the next step in the ever-changing contemporary art scene, and our artists are true creative entrepreneurs,” said Maria van Vlodrop, Founder and CEO of MvVO. AD ART SHOW is a juried and curated selling exhibition. The selection of artists’ work is performed by a selection committee, made up of contemporary art experts and influential collectors in the New York art scene. In addition, Ms. van Vlodrop is thrilled NBCUniversal is continuing as presenting partner for AD ART SHOW. 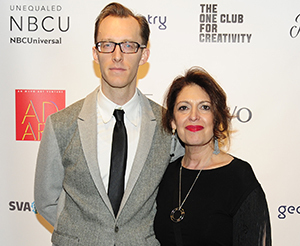 “Their generosity enables MvVO Art to bring AD ART SHOW to the streets of NYC and continue to provide artists from advertising opportunities to gain more exposure and recognition in the Art world in celebration of creativity in the industry,” she told us. “We’re so proud to celebrate these talented artists as presenting partners of the AD ART SHOW. 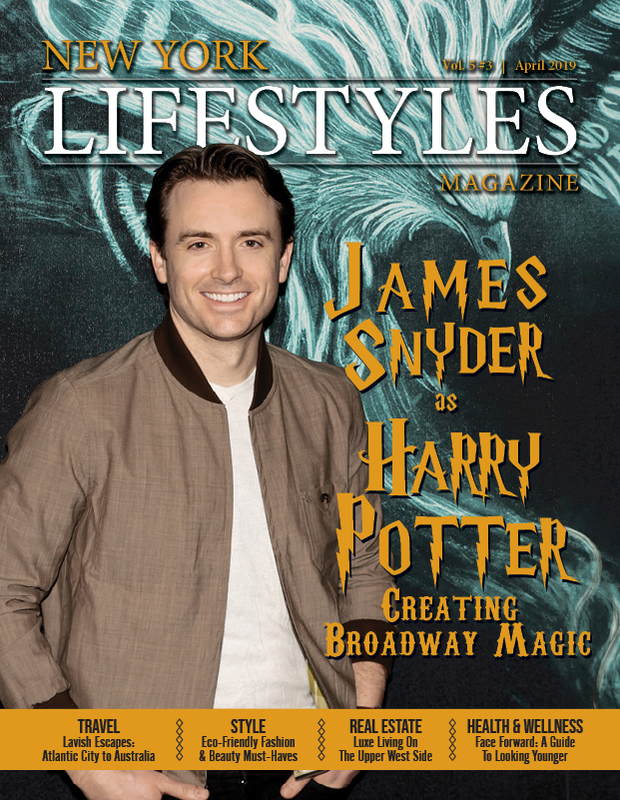 Whether we’re talking about innovative pop art or driving pop culture, the wall of a gallery or the screen in your home, one thing is true: creative work inspires people to feel, to remember, and to act,” said Linda Yaccarino, Chairman, Advertising, Sales and Client Partnerships, NBCUniversal. Maria van Vlodrop, has built businesses and brands in the US and Europe. She blends blue-chip marketing expertise with cutting-edge technology experience and entrepreneurial flair and has a successful track record of working with world-class creative talent to create campaigns for Pepsi, Haagen-Dazs, Finlandia Vodka, L’Oréal, and Toyota among others. In April 2015, Maria founded MvVO ART to build bridges between art and commerce, and to open doors for contemporary artists and specifically artists from advertising with AD ART SHOW. 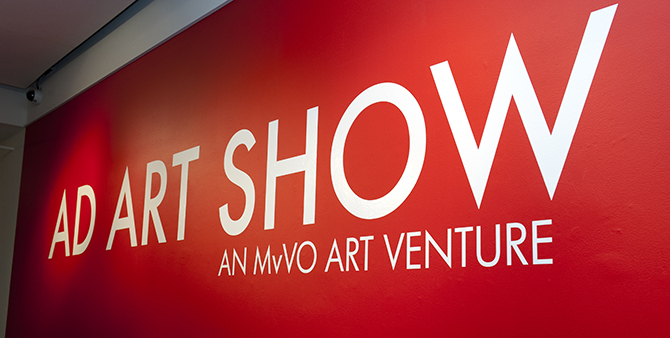 MvVO ART is poised to reimagine and redefine the relationship between art and commerce. For more information on MvVO Art, visit mvvoart.com.